You guys might recall the double dose of Attack the Block drawings me and Mike Horowitz gave you a couple of months ago - we both had unfinished sketches and we made a deal that we’d both finish and post our drawings. That was a lot of fun, so we decided to repeat the experience. 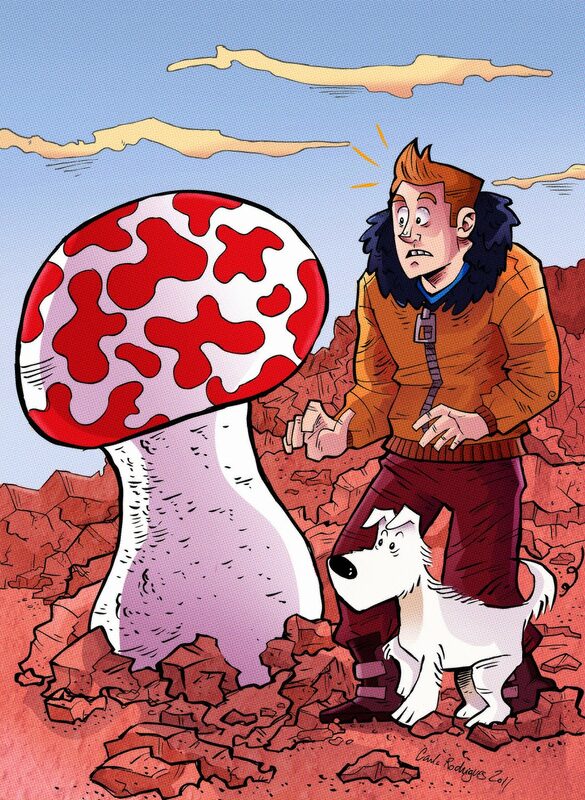 This time, Mike suggested we drew something from Tintin. I loved the idea, because I read pretty much all the Tintin comics when I was a kid, and they’re still an important part of my comic references. The Shooting Star was one of my favorite Tintin comics and I thought it’d be cool to recreate a moment from the book. This is the result. Check out Mike’s Tumblr to see his awesome drawing! Hope you enjoy this new double dose of Carla/Mike drawings, it was a lot of fun.